Good chocolate comes in many forms. Poor chocolate comes in many, many more. Just because you’re losing weight, it doesn’t mean that you can’t have the odd treat. If you’re going to break that strict eating and fitness regime you’ve been on, it make it really worth it! Humans have been playing with chocolate since the Ancient Mayan’s were at large. We have learnt a lot, with gourmet chocolatiers able to create magic from the humble cocoa bean. As with any craft, it is the skill, love and knowledge of the creator that really makes the chocolate stand out as exceptional. Quality counts when it comes to chocolate. Whether we realise it or not, we are all expert consumers when it comes to chocolate. We all recognise quality. The cocoa bean is rich with natural endorphins, which bring a psychological joy, whilst the slightly bitter taste is manipulated into a taste that is craved the world over. Nothing is better when done well. And nothing is sadder than a chocolate that does not live up to its potential. Creating fantastic chocolate however, takes great care and close attention throughout the process. Centuries of knowledge of, and admiration for, the cocoa bean means that chocolatiers can guarantee every drop of chocolate is made to their own incredible standards, and each drop is testament to their skill as an artisan. This is not possible with mass produced chocolate. No chocolatier, regardless of skill and experience can guarantee that a vast volume of chocolate is made to the same exacting standards, made with the same intimate care as a artisan would require from their work. Big brand chocolate bars have had to rely upon economies of scale for their success meaning that regardless of the taste, the quality of ingredient in a big brand chocolate is simply not as good. That is not to say that big brand chocolate does not have a good recipe. Some big brand chocolates are created from old, loved, and long nurtured recipes, which have given their chocolate household appeal. There is no denying that some big brand chocolates are delicious, we all have our favourites, but the quality of cocoa is compensated for, not enhanced, by other ingredients; caramel, fruit, wafer or nuts. Underneath, both the content and the quality of cocoa is sacrificed. A gourmet chocolate is made from the finest ingredients. Often, when you delve into the creation of a gourmet chocolate, you find tales of individuals spending many years scouring the globe for the best ingredients, from the cocoa itself to the elaborations; nougat, fruit, or nuts. These ingredients have been eked out from every corner of the globe, bought together not for their economic viability, but for their perfect infusion with the other ingredients. This dedication to finding only the best ingredients means that flavours are perfectly complimentary. The importance of getting the best ingredients is not simply a matter of taste. The psychological effects of chocolate on the brain are well documented, but they are only found if the quality of cocoa is exceptional, and in the right concentrations. Chocolate made from less than 60% cocoa will rarely have the same ‘feel good’ effect that gourmet chocolate provides. Quality and quantity are vital for the full chocolate experience, and it is extremely rare to find either, let alone both in big brand chocolate. Having spent the time and care to produce mouth-watering, mood altering chocolate, great care is taken to make sure the packaging only enhances the quality. 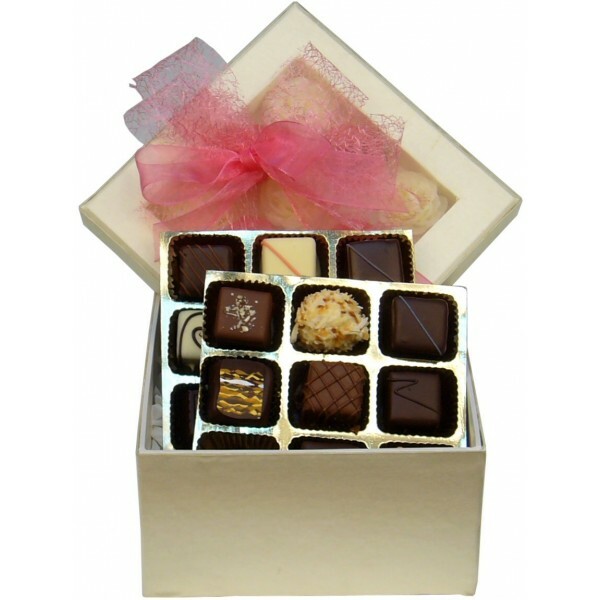 Therefore, gourmet chocolate makes the whole package for a gift. Big brand chocolate is lavished with branding, where acknowledging the brand is more important than the overall package, making it a far less personal, luxury gift.